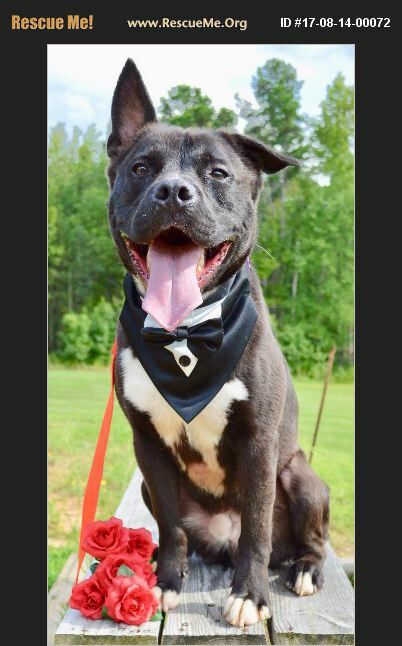 **COURTESY POST** Donald is a 2 year old pitbull, weighing roughly 60 lbs. He is neutered, utd on shots, microchipped, hw neg and on preventatives. If you're looking for a fun-loving companion that enjoys long romantic walks under the stars, cuddling on the couch after a long day at work, and will never break your heart? Look no further! It doesn't get anymore tall, dark, and handsome than our sweet Donald. He is a wonderful boy who doesn't meet a stranger, and loves everyone he encounters. Donald has good house manners and he is crate trained. While not an overly energetic boy, Donald does need regular exercise. The ideal home for him would be be an active family that would enjoy playing ball in the backyard or going for walks around the neighborhood. While he loves all people he meets, Donald will need to go to a home with no other dogs or cats. We know that he is a special boy and that there is a special home out there for him! If interested in adopting Donald, let us know.